A pair of press releases concerning the planned Coast Guard Museum, both notably from Connecticut. First from Senator Chris Murphy. WASHINGTON – U.S. Senator Chris Murphy (D-Conn.), U.S. Senator John Boozman (R-Ark. ), U.S. Representative Joe Courtney (CT-2), and U.S. Senator Richard Blumenthal (D-Conn.) reintroduced on Wednesday the bipartisan United States Coast Guard Commemorative Coin Act, a bill to honor the men and women of the Coast Guard and support the National Coast Guard Museum in New London. The Coast Guard plays a broad and important role in homeland security, law enforcement, search and rescue, marine environmental pollution response, and the maintenance of river, intra-coastal and offshore aids to navigation. Under the United States Coast Guard Commemorative Coin Act, proceeds from the sale of the Coast Guard Commemorative Coin would be used to support the development and operation of the National Coast Guard Museum via the National Coast Guard Museum Association, a nonprofit association dedicated to improving public understanding of the history, service and missions of the Coast Guard. Once the museum is completed, each branch of the U.S. Armed Forces will finally have a national museum through which to share its history and legacy with the American public. “Our Coast Guard plays a crucial role in protecting our borders, stopping the flowing of illegal drugs and keeping our shores safe. The men and women who serve in this capacity are called on during times of emergency, natural disasters and foreign conflict. I’m proud to recognize their service and sacrifice with a commemorative coin that will help in the efforts to build a museum that preserves and features the history of the Coast Guard,” Boozman said. Murphy, Boozman, Courtney, and Blumenthal have been longtime advocates of the U.S. Coast Guard and the National Coast Guard Museum. The Omnibus Appropriations bill released earlier this week includes the first federal funding – $5 million – for the museum. In the Appropriations Committee, Murphy first succeeded in including the provision in the U.S. Department of Homeland Security (DHS) Appropriations Act for Fiscal Year 2017, which passed the committee last May and served as the basis for the DHS portion of the current funding bill. Blumenthal, Courtney, and Murphy successfully eliminated the ban on federal funds within the Coast Guard Authorization Act, which was signed into law last year. 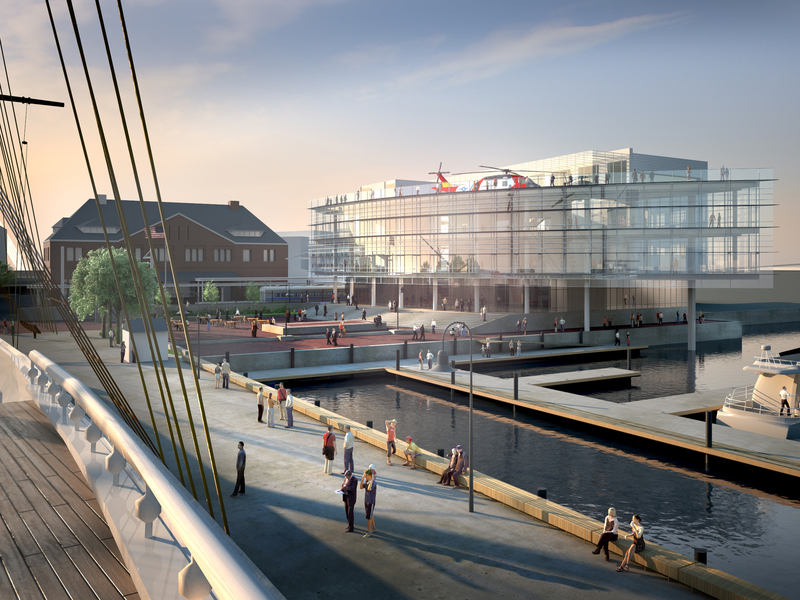 Prior to passage of the Coast Guard Authorization Act of 2016 with the support of the Connecticut delegation, the Coast Guard was prohibited from using federal funding to support the design and construction of the museum. While a national private fundraising campaign was underway to raise the funds necessary to build the museum, the old law limited the ability for the Coast Guard to support efforts to preserve and display artifacts from its 225-year history at the museum. Section 219 of the Coast Guard Authorization Act of 2016 amended the 2004 law to ensure that the Coast Guard can provide funding for “the design, fabrication, and installation of exhibits or displays in which such artifacts are included. Courtney is a co-chair of the bipartisan House Coast Guard Caucus. Both of these found thanks to Bryant’s Maritime Consulting Blog. Thanks for bringing this to our attention…keep me up to date on if this passes, I would certainly consider purchasing one.